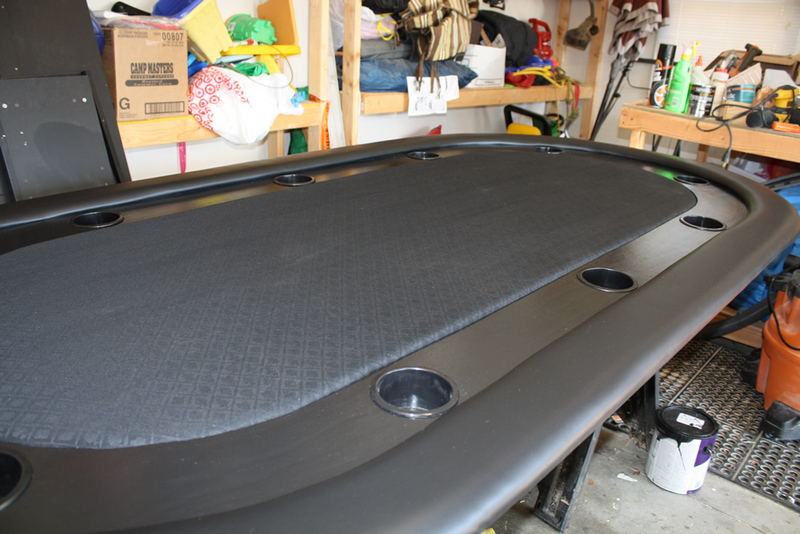 A few years ago, someone found my website and asked me to build these two poker table tops. 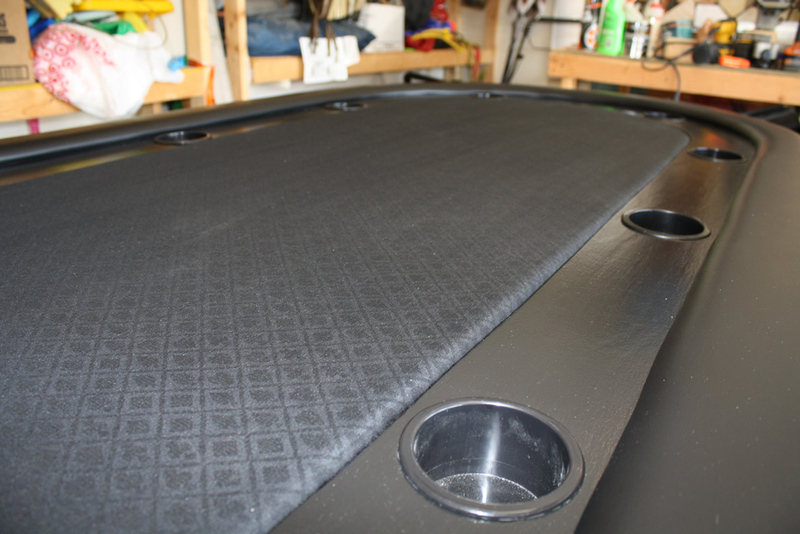 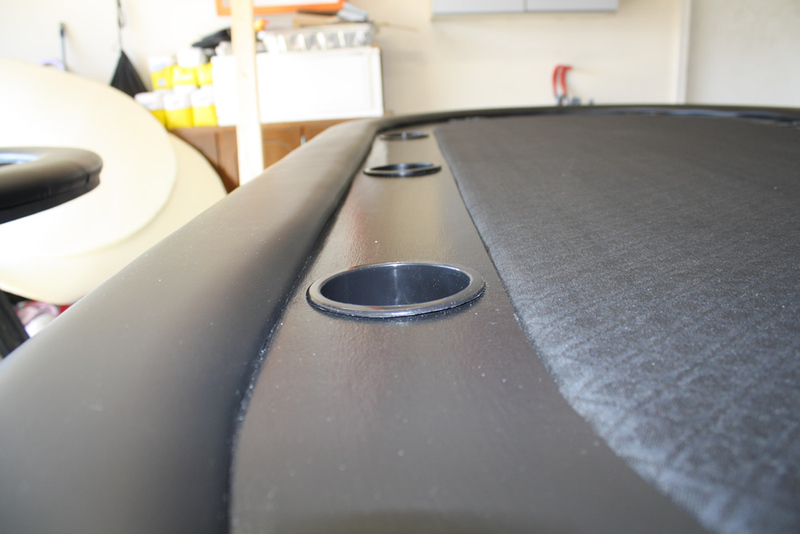 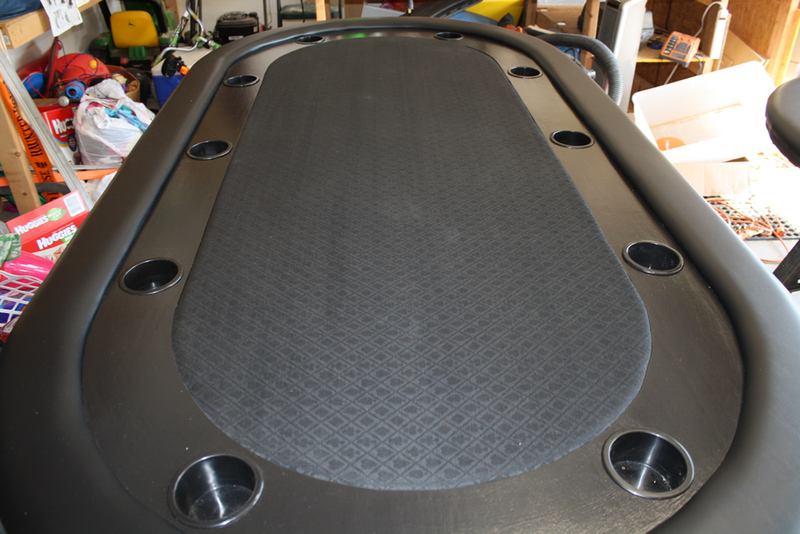 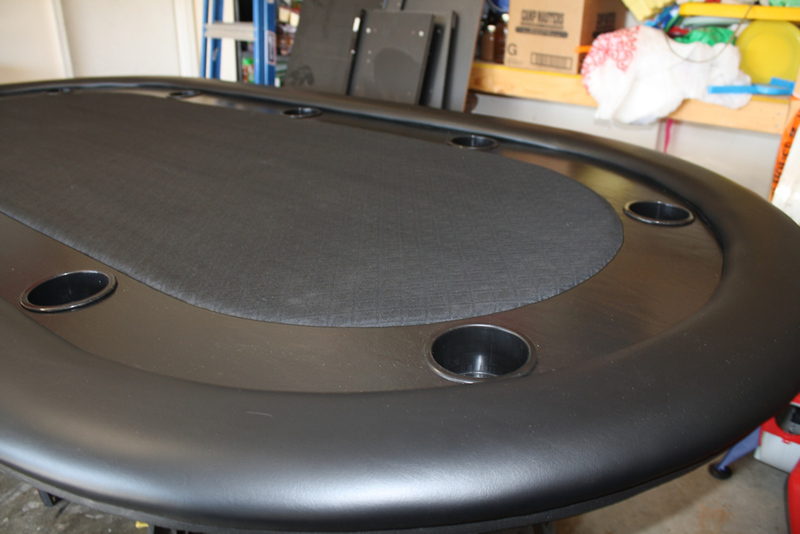 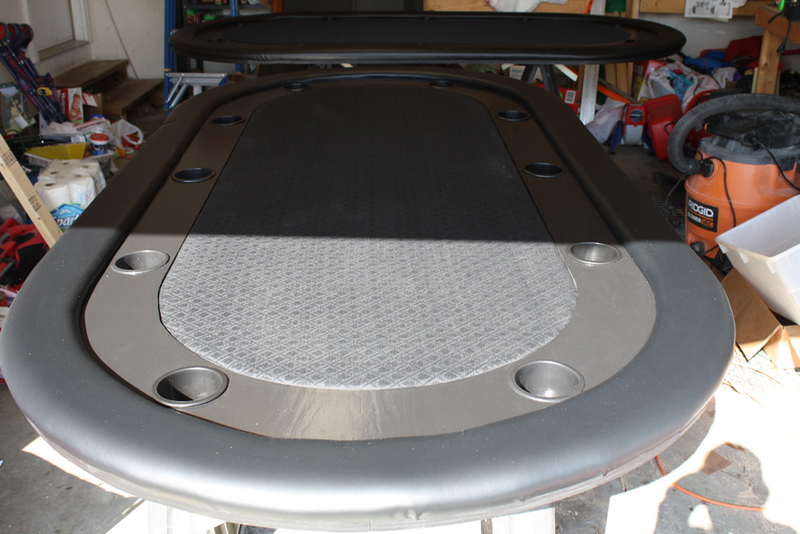 The client chose all black for his tables including a black padded rail, black cupholders, black poker cloth, and black racetrack. 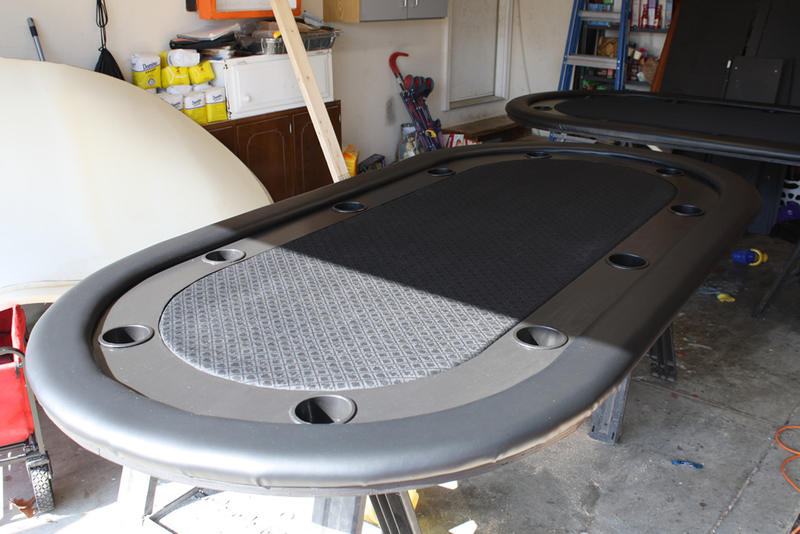 Originally, I had planned to build a raised rail similar to my red raised rail table but it didn’t work out.